CLUB DE GOLF HACIENDA DEL ALAMO, FUENTE ALAMO, SPAIN. Information, Photos and Reviews. At Hacienda del Alamo we want to show our passion for golf. 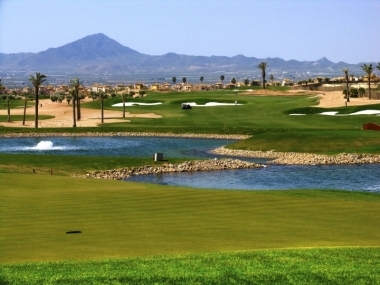 Whether you are an experienced golfer or simply an amateur, we invite you to join our Golf Club in Murcia. In it, you can practice your game on our 18-hole golf course, improve your skills at the Academy or comment on the play at the Club House. Closer coffee and handcraft cocktails - Murcia (16.2 miles) - Cafeteria. Artisan cocktail. Jazz. Relaxed atmosphere, ideal for couples and small groups. Nobody has reviewed CLUB DE GOLF HACIENDA DEL ALAMO yet, Be the first. You are submitting a booking enquiry. 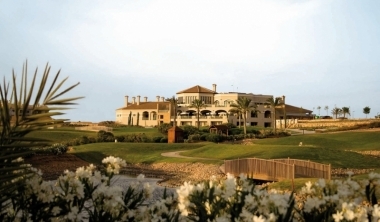 CLUB DE GOLF HACIENDA DEL ALAMO will then contact you by email with details of availability and prices.